On Friday, celebrity news site TMZ announced that rapper Fetty Wap’s girlfriend gave birth. 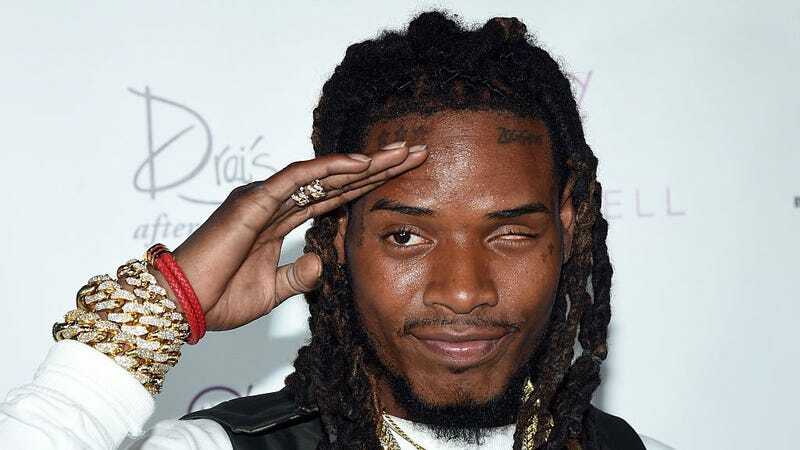 It’s hard to qualify that factoid as newsworthy, and it’s certainly none of my business, but it did get me thinking: It’s been three years since Fetty Wap released a banger. Where on earth did he go? The rapper’s eponymous debut album produced three inescapable hits in 2015: “Trap Queen,” “679,” and “My Way.” Wap rode the streams of Fetty Wap to No. 1 on the Billboard album charts, and it was eventually certified platinum. But he hasn’t released a new album since—just a few mixtapes in the meantime (most recently last October’s For My Fans II which he’s currently touring). His follow-up LP, King Zoo, has been perpetually delayed since 2016 and still has no official release date. So what’s he been up to in the meantime? Fetty’s quietly released a handful of singles that haven’t made much of a dent on the charts—“There She Go,” “Flip Phone,” even the bouncy, Nicki Minaj-featuring “Like a Star.” The most winning results came on Fifth Harmony’s “All In My Head (Flex)” in 2016. In that time he’s also faced lawsuits for two of his biggest hits, and was arrested for drunk drag racing in November. So, there’s that. While you’ve got Wap on the mind, check out the post-apocalyptic junkyard video for “Aye” below, and hope for a full Fetty comeback in 2018. Oh, and if you have any news on the whereabouts of Fetty Wap, please drop us a line at tips@trackrecord.net. We need your help.